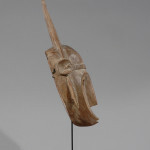 This Bamana N’Tomo society initiation mask with raised prongs and a long, straight nose and with the mouth at the bottom of the mask. 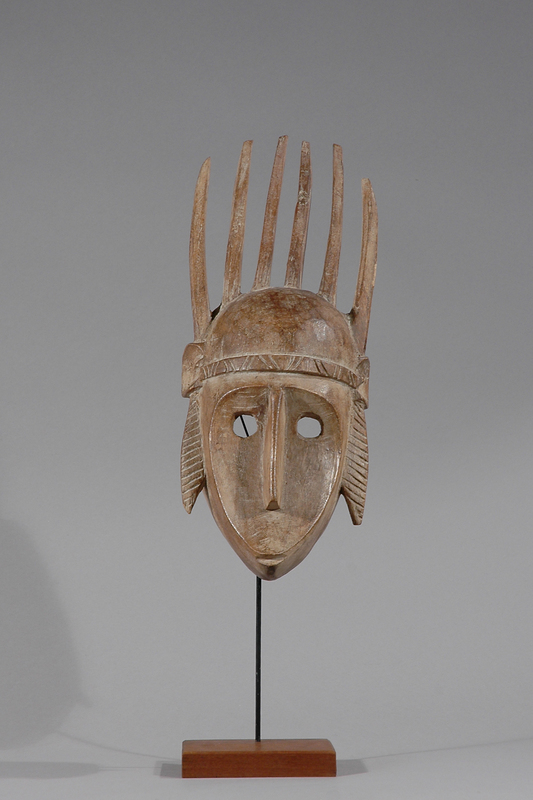 This mask is old and in very good condition, but was probably made to be sold. 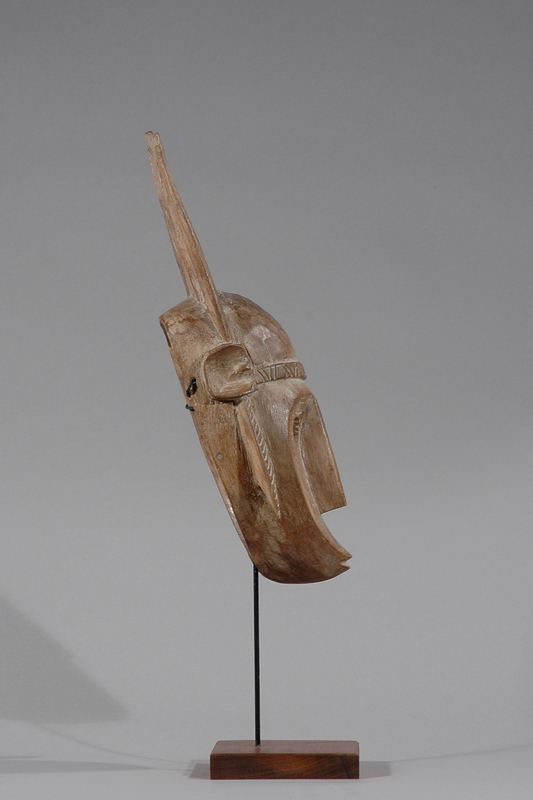 “The Bamana Ntomo masks were worn by boys as they passed through the early cycle of initiation into manhood. 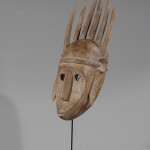 The masks reinforce the lessons the boys are taught as they are prepared by elder males in the society for circumcision. 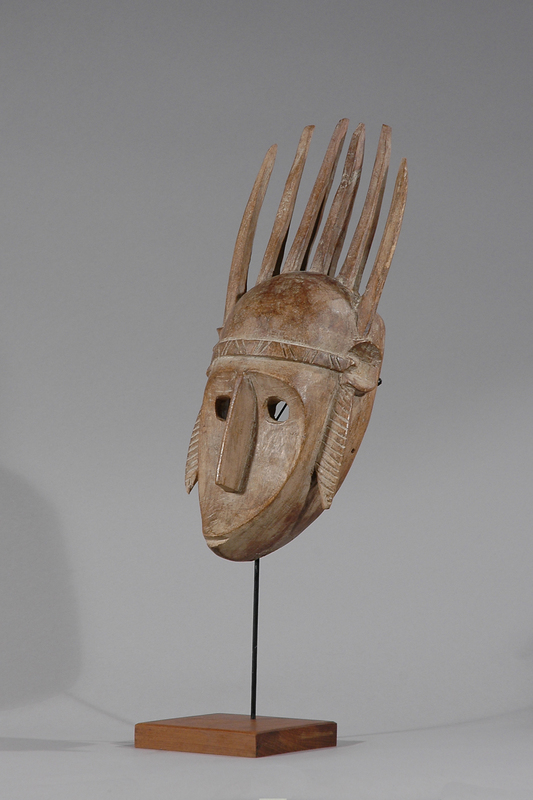 There are two main style groups of their masks. One is characterized by an oval face with four to ten horns in a row on top like a comb. The other type has a ridged nose, a protruding mouth, a superstructure of vertical horns, in the middle of which or in front of which is a standing figure or an animal. 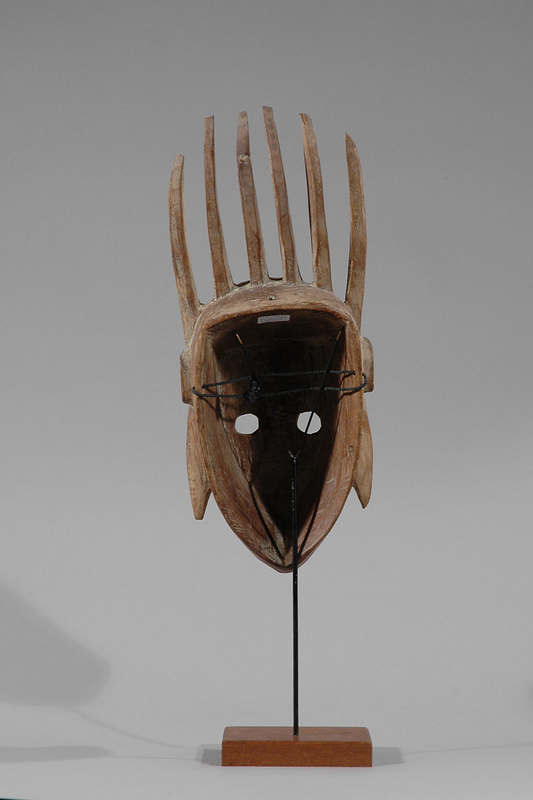 The N’tomo masks with thin mouths underscore the virtue of silence and the importance of controlling one’s speech. During their time in N’tomo the boys learn to accept discipline. They do not yet have access to the secret knowledge related to korè and other initiation societies. 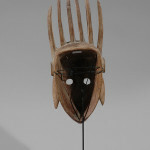 Members wore a wooden face mask during the initiation festival at harvest time and when begging for rice. 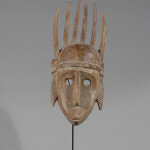 One reference means the number of horns on such masks are to symbolize a human being’s levels of increased knowledge based on the initiation stages, while another reference means that N’tomo masks with an even number of horns are female and those with an odd number of horns are male. 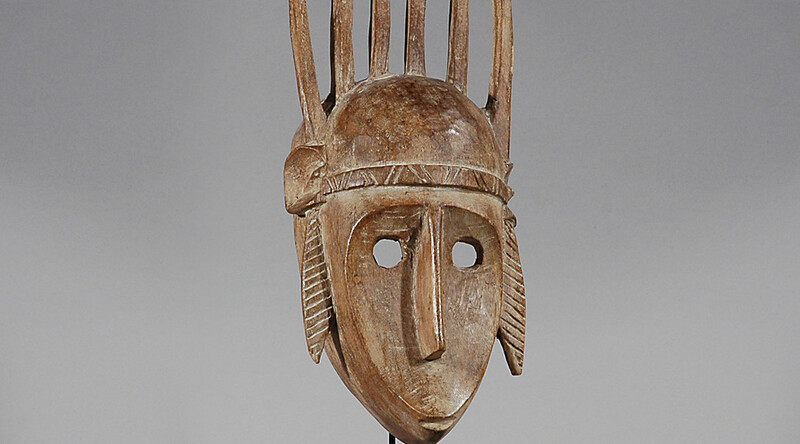 Bamana: The Art of Existence in Mali, Africa: The Art of a Continent, A History of Art in Africa. Provenance: Acquired from a South African gallery in 1997. Literature: Brett-Smith’s THE MAKING OF BAMANA SCULPTURE-CREATIVITY AND GENDER, and superb examples in BAMANA-THE ART OF EXISTENCE IN MALI, edited by Colleyn.